Welcome home to a Sheffield, Illinois bed and breakfast. We look forward to your visit! For a memorable lodging experience that can’t be found at Sheffield, IL hotels, try an area inn to experience true hospitality and comfort. When you enter our inns, you become part of the family! If you have never stayed in a B&B, you will soon understand why so many travelers select inns for their Sheffield lodging needs. For those who love staying at inns, you will certainly find our B&Bs to your liking. Once you are settled into your room, spend some time discovering Sheffield and all there is to do in town and in the surrounding area. We welcome you to Sheffield! Outdoor activities abound in Sheffield. For boaters, fishers, and hikers, the Mautino Fish and Wildlife area is an ideal destination: located just east of town, this area has 15 stocked lakes for fishing. Bikers, hikers, and fishers will also enjoy Hennepin Canal Parkway State Park: a beautiful park which provides trail-access to the 104-mile canal that runs between Hennepin and Rock Island. Also in the area are several Illinois wineries, all within an hour’s drive of Sheffield. Geocaching and letterboxing are very popular in the area with over 9,000 geocaches within 100 miles of Sheffield and 34 letterboxes in Bureau County alone. Several antique stores and specialty shops are located within 10 miles of Sheffield for your shopping fix. There is so much to do in Sheffield and Bureau County! 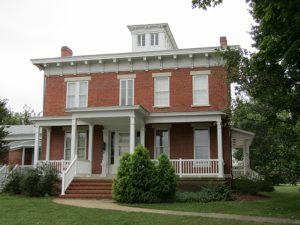 Come stay at a Sheffield member inn of the Illinois Bed and Breakfast Association and find out for yourself! The ultimate destination for foodies, this award winning bed and breakfast/restaurant features Mediterranean cuisine using locally grown foods. Experience big city dining in a small town atmosphere!